Mumbai-based Tata Group is positioning itself for major domestic and international expansion, signalling what many experts believe to be a turnaround in India’s economy. Tata Motors Ltd unveiled plans earlier this week to assemble and sell three of its low-cost vehicle models in the Indonesian market by the second quarter of 2013. The announcement comes five weeks after Tata Motors introduced three vehicles into the Bangladeshi car market. “Our research is showing that there is a large opportunity for Tata vehicles in Indonesia, with operating conditions and customer needs being very similar to those in India. We are very confident of providing smart mobility solutions,” said Biswadev Sengupta, President Director of PT Tata Motors Indonesia, in a company press release. Tata says its research currently shows that there are only 40 vehicles per 1,000 people in Indonesia, Southeast Asia’s biggest economy. 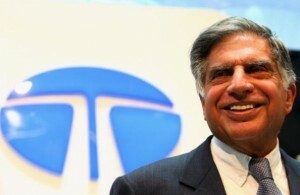 Tata said it would expand operations in Indonesia to transform its subsidiary there into an export base to Asian markets. Meanwhile, Canadian media is reporting that Tata Motors has been revealed to be the top bidder for Ford Motor’s Jaguar and Land Rover brands. “While no final decision has been made, we will proceed with further substantive discussions with Tata Motors over the forthcoming weeks,” Lewis Booth, executive vice-president of Ford’s European units, said in a statement carried by the Toronto Star. On the domestic stage, Tata Group’s new chairman, Cyrus Mistry, revealed company plans to invest at least 450 billion rupees ($8.3 billion) in India during the next two years. Mistry told Tata employees that his company will “deepen and widen” global expansion plans with particular impetus on Asia, Africa and Latin America.